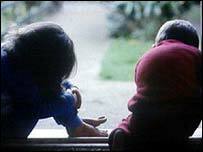 One in four children in the East lives in poverty, a report claims. The figures are worst for Great Yarmouth's Nelson ward, with half of the children in poverty, it claims. A roadshow being held in Norwich and Cambridge this weekend by the End Child Poverty (ECP) coalition will highlight the issue. Director Jonathan Stearn said: "The problem is hidden, people have an image of poverty in inner cities, but would never associate it with East Anglia." "Poverty is not just confined to inner cities - 50% of children living in poverty are outside the most deprived areas," he added. The figures revealed that 250,000 of just over a million children in the eastern region are living in poverty, according to the ECP criteria. The criteria defines child poverty as living in households where the income is below the national average as defined by the Department for Work and Pensions. Steve Reilly, a spokesman for Norfolk County Council, said: "We are developing a more more preventative approach, and family support is one of the areas we are stepping up, investing hundred of thousands of pounds extra every year." Among the proposals the coalition has made to government is to extend child benefit to pregnant women, and to ensure the national minimum wage is a living wage that lifts families above the poverty line.